Since 1969, Christown Animal Hospital has provided pets in Phoenix, AZ with every facet of care they need to live happily and healthfully. Whether you’re looking for preventative medicine, surgery, boarding, or even grooming and day care, we are equipped to serve you and your pets with compassion and care. Pets are more than just cats or dogs—they’re our friends, companions, and family members. Caring for them is important, so they remain happy and healthy, by your side for years to come. Providing your pet with the best care possible starts by choosing a highly qualified veterinarian in Phoenix, AZ. When the time comes for preventative medicine, necessary surgery, grooming or just a checkup, we hope you choose Christown Animal Hospital to care for your furry friend. Our staff puts the health of your cat or dog first, and we always provide a level of care that illustrates our dedication. We strive for compassionate care, whether you’re visiting us with the newest addition to your family or your oldest friend. 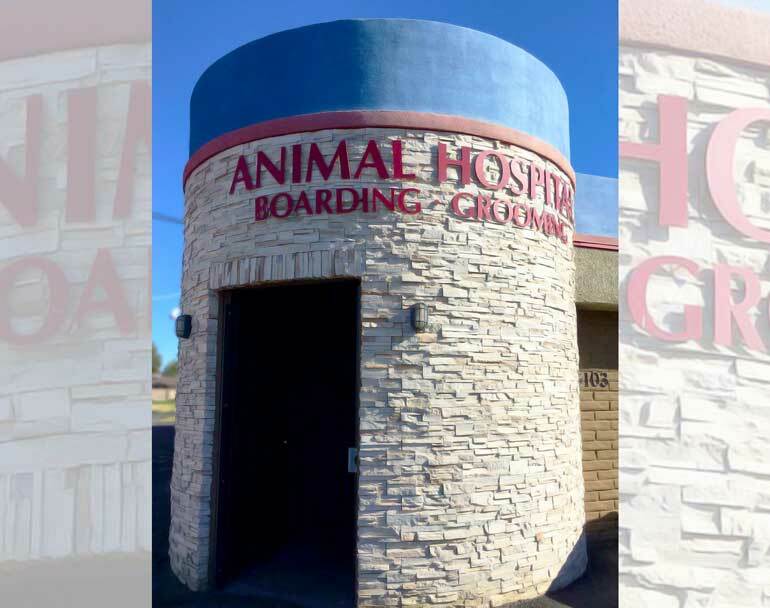 The capabilities of our animal hospital in Phoenix, AZ are second to none when it comes to providing pet care, and our trained, talented team is ready to offer their tenured expertise to you and your pet. Consult with us about vaccinations and preventative medicine, as well as treatment options for chronic illnesses and more. We’re happy to provide your pet with thorough examinations if they’re exhibiting signs of illness or distress, and can help diagnose, treat and resolve health issues that may arise. And, if for some reason we’re unable to treat your pet to the highest caliber, we can refer you to a highly reputable pet hospital in Phoenix, AZ for urgent and immediate care. Come see why pet owners throughout Phoenix continue to trust us when it comes to the health and wellness of their furry friends! We’re proud members of the Arizona Veterinary Medical Association (AZVMA). We’re affiliated with the American Veterinary Association (AVMA). Owner Dr. Gurjit Sandhu is a certified Doctor of Veterinary Medicine (DVM). We’ve been locally-owned and –operated since 1969! Call us today to hear about our New Client Wellness Exam for only $25! To ensure your furry friend is living their fullest life, make an appointment with us today! We’ll help ensure they’re in top health, up to date on all shots and happily cared for.